The Balachandran lab is interested in how cells die during host innate-immune responses to viruses and bacteria, and in exploiting these mechanisms for the treatment of human disease, whether infectious, inflammatory or malignant. A new form of programmed cell death, called ‘necroptosis’ and driven by the related kinases RIPK1 and RIPK3, has recently been described. Unlike apoptosis, which proceeds via a caspase cascade that results in the ordered disassembly of the cell, necroptosis is caspase independent and largely driven by the RIPK3 substrate MLKL. Once activated by RIPK3, MLKL translocates to cellular membranes and induces their disruption, resulting in a form of cell death reminiscent of necrosis. A whole-genome RNAi screen identified several innate-immune pathways as effectors of necroptosis, suggesting a key role for this form of cell death in anti-microbial host defense. Indeed, several classes of innate-immune receptor (e.g., TLRs and cytokines such as TNF-α and interferons) and pathogen (e.g., DNA viruses, certain gram-negative bacteria) have since been shown to activate necroptosis. The Balachandran lab is interested in how viruses (particularly RNA viruses), gram-negative bacteria, and cytokines activate the necroptosis machinery, and how necroptosis functions during acute viral and microbial infections to control pathogen spread. The lab has recently outlined a pathway by which interferons (IFNs), a family of cytokines with well-known antiviral and immunomodulatory properties, activate RIPK1/3 kinases and trigger necroptotic death. The laboratory continues to work on how IFNs activate RIPK1/3 kinases, and the regulatory mechanisms that normally restrain these kinases in unstimulated cells and only license necroptosis in susceptible cells. We have identified two such mechanisms that protect cells from IFNs: the adaptor protein FADD and the transcription factor NF-κB. Current projects in this area are centered on how FADD (and caspases) are disabled to allow IFNs to trigger necroptosis during an active infection. An allied area of interest is to test the feasibility of NF-κB blockade as a combinatorial approach for the treatment of IFN-responsive human cancers. More recently, the laboratory has identified RIPK3-activated cell death as an important host defense mechanism that limits spread of RNA viruses, including influenza A. Downstream of RIPK3, influenza A triggers the activation of both MLKL-dependent classical necroptosis as well as a parallel pathway of FADD/caspase 8-mediated apoptosis. The lab is interested in determining how RNA viruses activate RIPK3 and how RIPK3 activation results in MLKL activation versus apoptosis. Molecular- and animal model-based approaches are being used to identify additional determinants and regulators of virus-induced necroptosis, relevant cell types in vivo that die by RIPK3-dependent mechanisms, and the physiological contribution of discrete cell death pathways to the control of an acute RNA virus infection. Finally, the Balachandran laboratory is interested in targeting RIPK1/3 kinases in human cancers that respond to IFN therapy, or possess well-established innate-immune and inflammatory etiologies. IFNs (esp. IFN-α) were approved by the Food & Drug Administration (FDA) in 1986 as the first ever commercial anticancer biotherapeutic, and are currently employed in the treatment of over twenty human cancers. In the years preceding their approval by the FDA, the IFNs were touted as a potential ‘silver bullet’ cure for many forms of cancer, even making the cover of Time magazine in 1980. Unfortunately, these cytokines have, in recent years, fallen out of favor with many oncologists because of their severe side-effects. Nevertheless, IFNs continue to be used in the clinic and provide spectacular cures of several highly malignant cancers (such as AIDS-associated lymphomas and metastatic renal cell carcinoma), highlighting their Janus-faced nature. 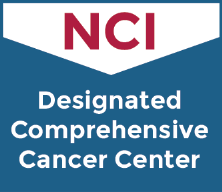 The laboratory is interested in developing rational IFN-based combinations that seek to exploit IFN-triggered direct tumor cell death as a means to improve the efficacy of this cytokine and so lower its effective dose. Projects are focused on understanding how FADD and caspases prevent activation of RIPK1 and RIPK3, and how these negative regulators are disabled during an innate-immune response to license necroptotic death. Collaborative studies with the Douglas Green (St. Jude Children’s Hospital) and Edward Mocarski (Emory University) labs are underway to determine the role mechanism by which RIPK1 loss permits IFN-activated RIPK3-driven cell death, and the contribution of IFNs to the perinatal lethality phenotype of RIPK1-deficient animals. We have identified an essential role for RIPK3 in controlling acute infection by distinct classes of RNA viruses, including influenza A and the neurotropic rhabdovirus Vesicular Stomatitis Virus (VSV). Current projects seek to understand how RNA viruses activate RIPK3, and how RIPK3 then transduces parallel downstream necrotic and apoptotic cell death signals via, respectively, MLKL and caspases. Also of interest are the cell types in vivo that die by RIPK3-dependent mechanisms. These projects are very collaborative and involve the combined expertise of the Green and Mocarski labs, as well as those of Paul Thomas (St. Jude Children’s Hospital). Ancillary projects examining the role of neuronal RIPK3 in control of neurotropic viruses (VSV, measles virus) are also being pursued in collaboration with the Glenn Rall lab (Fox Chase). Our identification of RIPK1/3-kinase-dependent necroptosis as an IFN- activated cell death mechanism, as well as our discovery of N-κB as a targetable survival factor that protects against IFN-induced necroptosis, may now allow the combinatorial use of NF-κB inhibitors (such as proteasome blockers) with IFNs for treatment of human malignancies. Projects are in place to determine how NF-κB protects cells from IFNs, and to test additional rational IFN-based combinations (e.g., IFN + SMAC-mimetics) for induction of cell death in tumor cells. Additional collaborations are in place with the Testa lab at Fox Chase and the Degterev lab at Tufts that will develop and deploying new RIPK1/3 kinase inhibitors for the prevention and treatment of asbestos-induced malignant mesothelioma. We have made the observation that IFN-γ sensitizes non-phagocytic cells to delayed cell death following Salmonella infection. The lab is interested in identifying the mode of death activated by Salmonella and in determining its physiological relevance in vivo. This work is being done in collaboration with Sergei Grivennikov (Fox Chase), Igor Brodsky (University of Pennsylvania) and Cagla Tuckel (Temple University).